Need the services of a plumber you can trust? Perhaps your boiler has given up? 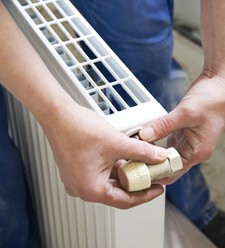 Maybe you require new central heating installed or a new bathroom for your extension or new build property? Call us now - we're local plumbing experts who will have you up and running in no time at all. We offer years of experience, the full range of plumbing services, the highest professional standards and the last word in reliability. We enjoy an excellent reputation in the area - proven by the many customers who return again and again for their plumbing needs. So why go anywhere else? Call now to discuss your requirements. All work is undertaken by Gas Safe registered plumbers for your safety and to comply with British law. We care about you and your home, and adhere to the highest professional standards. Don't leave your plumbing to chance - call the experts. We don't charge call out fees and offer FREE estimates. We're available 24 hours to deal with any plumbing emergency. We guarantee customer satisfaction. Call now on 0117 345 9036 to book a plumber.